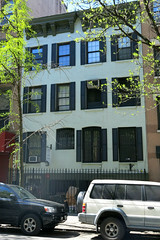 Harold Ross 1892-1951 The magazine editor, who said "if you can't be funny, be interesting", lived here when he founded The New Yorker in 1925. 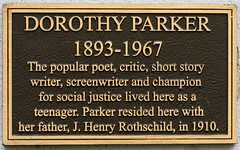 At his 1923 "housewarming" were Dorothy Parker, Harpo Marx, and George Gershwin. 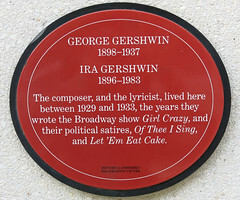 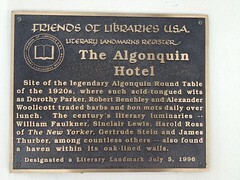 It's not often a plaque contains an epigram from the person it commemorates, but this one does exactly that and it tells us he partied at least once with a bohemian set, including George Gershwin, Dorothy Parker and Harpo Marx. 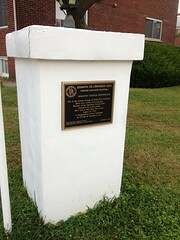 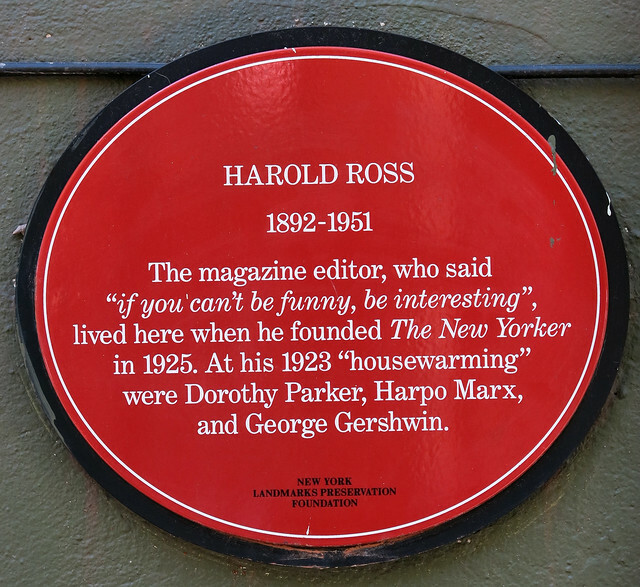 Founder and first editor of the New Yorker, Harold Ross was - like most journalists - fond of name-dropping, so his plaque is in keeping with a timeless tradition.